Health-Sports Day in Japan (aka Sports Day) is celebrated on the second Monday in October. 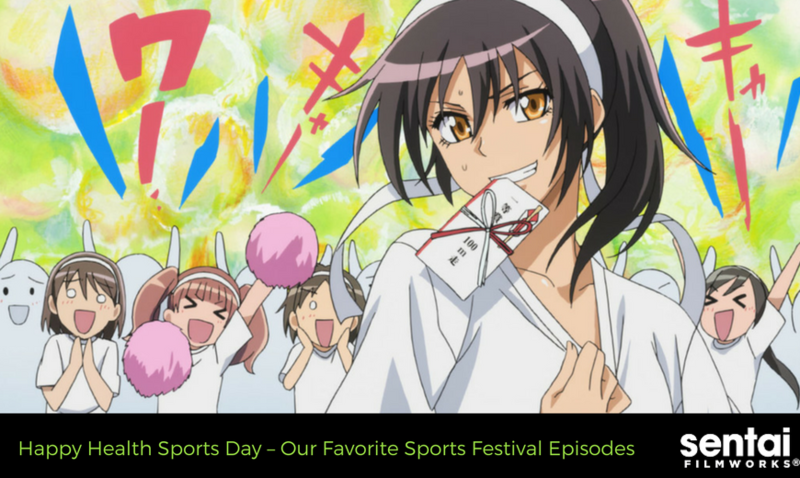 This national holiday promotes an active lifestyle and makes us folk at Sentai Filmworks think about all of our favorite sports festival episodes. What Is a Sports Festival Episode? Anime fans know that school-life anime will usually have some familiar tropes (i.e. the culture day festival episode). 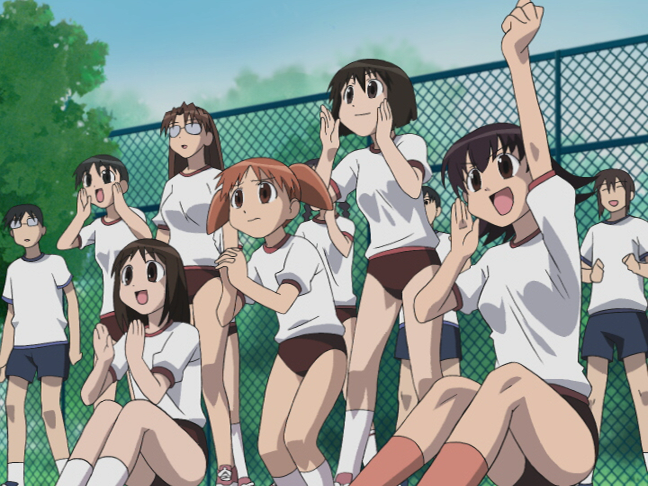 The sports festival episode, though less common, usually involves pitting your favorite characters against each other in heart throbbing sports meets. 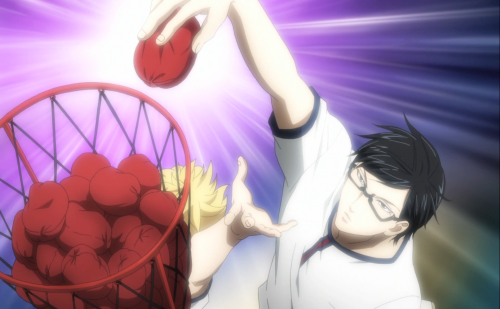 Since Sakamoto is good at everything, naturally he’s spectacular at sports. However, even though Sakamoto is winning races by running like a cheetah, the star of the sports festival episode actually ends up being his self-proclaimed rival, Sera! The class’s funny man performs a really good deed at the sports meet that (almost) outshines Sakamoto’s athletic stunts. Since Seika High School has been an all boy's school until recently, it’s no wonder Student Council President Misaki has her eyes set on winning first place in every category of the sports festival. She competes fiercely for the honor of the girls in their predominantly male school. The crowning climax of the episode? The costume race! 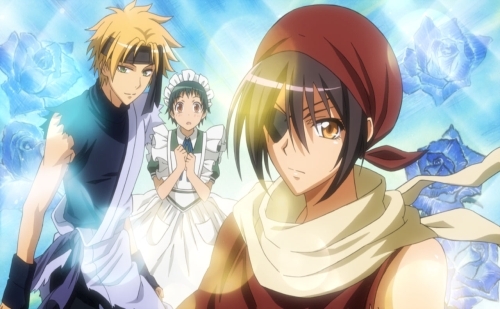 Cue Usui dressed as a ninja, and Misa as a pirate. Kind-hearted but physically intimidating Takeo offers to help train his class’s slowest female runner so she can perform her best at the upcoming sports festival. 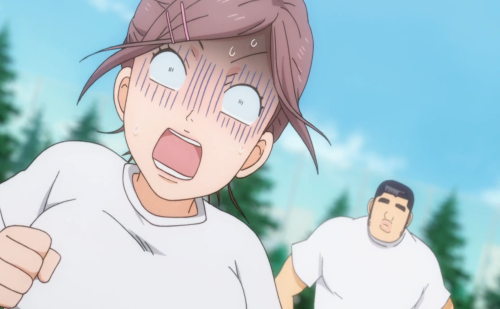 The girl, Mariya, ultimately learns to run faster, mostly because she was practicing NOT getting run over by Takeo! Mariya’s admiration of Takeo might turn into feelings of love, but don’t worry Rinko: we know he loves you! Cheers to the Many Sports Festival Episodes to Come! When you watch enough anime, you start recognizing recurring themes, especially in school-life anime. We look forward to the many different school festival episodes to come! Which are you favorite school-fest episodes? What events made them your favorite? Let us know via Facebook, Twitter, Tumblr, and Google+! my love story haven't you heard? i'm sakamoto azumanga daioh maid sama!